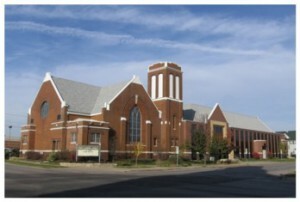 Diversified Design Group, Inc. has been retained as the acoustic/AV Consultant for First Lutheran Church in Cedar Rapids, IA. Combining a traditional service featuring an outstanding pipe organ, bell choir and traditional choir with an exciting Praise & Joy worship team in the same worship space is always a challenge. We look forward to helping First Lutheran Church meet their goals. Diversified Design Group will be providing the church with design upgrades of their existing AV systems as well as acoustic recommendations.